Michael Harding’s Poppy Oil is made from the finest materials. 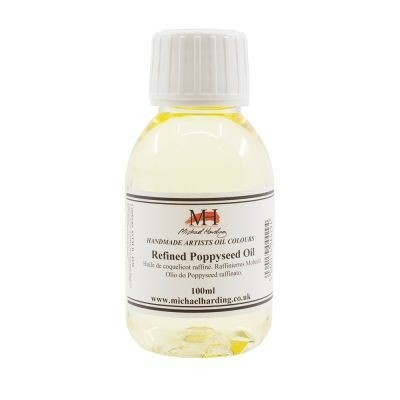 Poppy Oil resistant to yellowing, and so in commonly incorporated into whites and other light colours. It is a slower drying oil and that paint film it forms is not quite as strong as Safflower or Linseed oils.